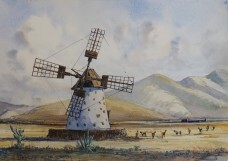 Mill El Cottilo Feuterventura Original Watercolour painting on watercolour paper 2011. 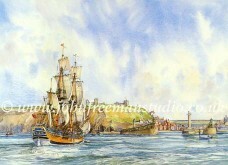 Approx 14"x10"
Las Pentas, Feuterventura Original Watercolour painting on watercolour paper 2011. 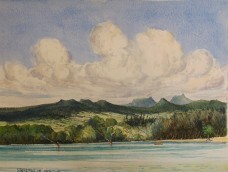 Approx 8"x11"
El Cottilo, Feuterventura Original Watercolour painting on watercolour paper 2011. 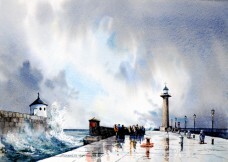 Approx 14"x10"
Approaching Cyclone, Giovanna Maritius Original Watercolour painting on watercolour paper 2012. 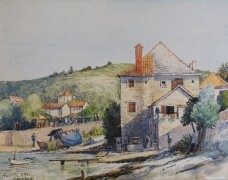 Approx 12"x9"
Rue Sabbatte Pezenez, France Original Watercolour painting on watercolour paper 1995. 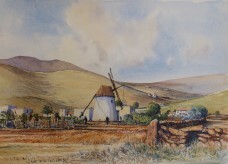 Approx 14"x10"
Llanos De La Conception, Feuterventura original watercolour painting on watercolour paper 2011. 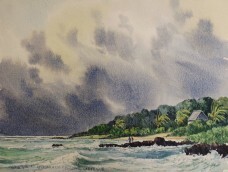 Approx 14"x10"
Postra, Brac original watercolour painting on watercolour paper 2007. 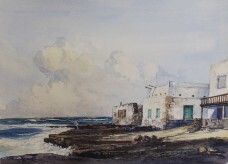 Approx 12"x9"
Isle Los Lobos and Lanzarote from Feuterventura 2011. 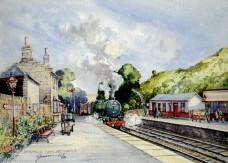 Original watercolour painting on watercolour paper. 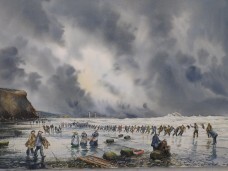 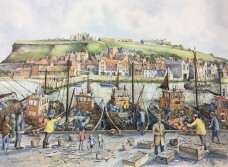 Approx 14" x 10"
Fishermen in Maritius 2007. 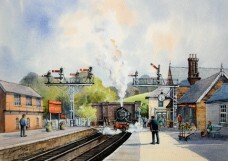 Original watercolour painting on watercolour paper. 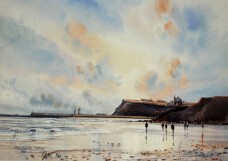 Approx 12"x9"
This powerful painting depicts an imaginary event under the cliffs just South of Whitby. 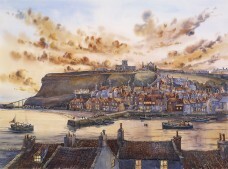 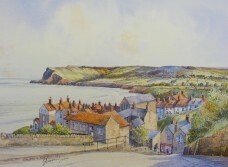 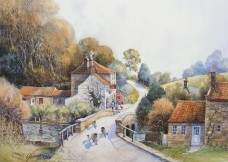 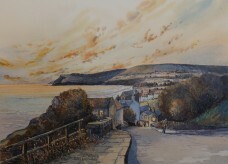 Signed Giclee` print looking down the bank at Robin Hoods Bay. 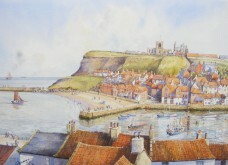 A classic view of Whitby`s Abbey and old East-side viewd through the iconic Whalebones on the West cliff. 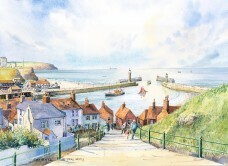 The classic view looking down the famous 199 steps and out toward the harbour. 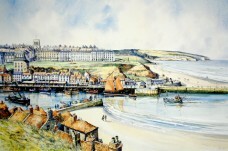 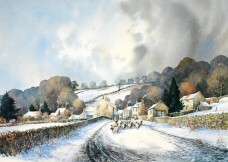 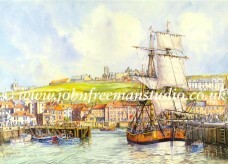 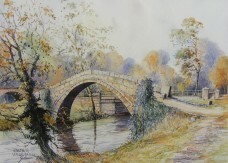 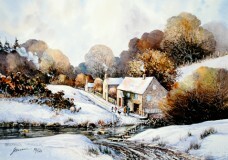 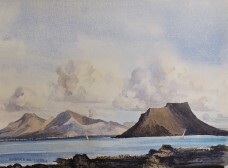 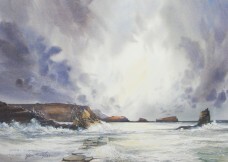 Signed Giclee` print by John Freeman. 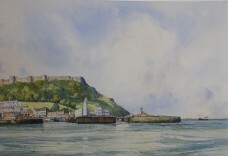 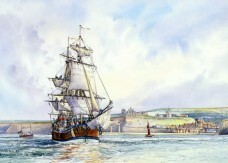 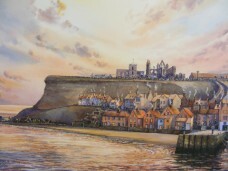 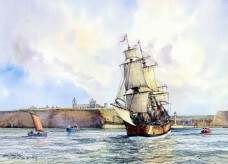 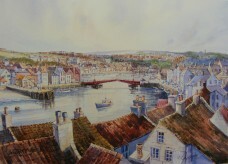 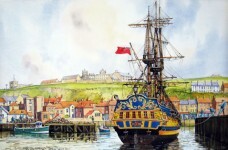 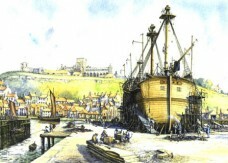 The Grand Turk, Whitby 14x10"